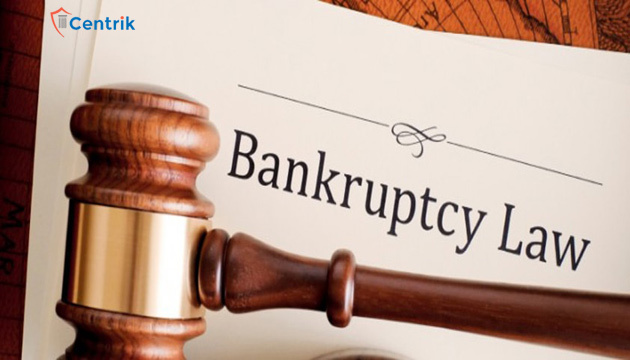 The government needs to re-look certain provisions of the Insolvency and Bankruptcy Code (IBC) as a situation might emerge where there is only one buyer for a stressed asset, Kotak Mahindra Bank NSE 1.88% Vice Chairman and MD Uday Kotak said today. The president-designate of CII also said that one of the biggest challenges facing the Indian industry relates to ethics, values, and governance. Addressing the media, he said that “quite a few areas need to be looked at” with regard to IBC. Referring to Section 29A of the IBC which prohibits promoters from buying back their own stressed assets, Kotak said: “The challenge is not at this stage but as we go into the future, as we go into smaller companies where you may not get even one bid. How are we going to handle that situation? The choice is between the costs of liquidation versus whether a promoter of a smaller company should be allowed to bid for the stressed asset, he said. “I think that is one area which down the road will be an issue which will need to be addressed”. Kotak said the rules of bidding should be like a prospectus where it should be clearly stated what is the basis on which the bids will be evaluated. “There are a lot of these things, there is grapevine, and there are rumors and all that. So we need to put a very rigorous process in place of how bids will be evaluated. Will it be a standard process for all or for each of the companies the resolution professional puts down the rules of bidding clearly,” he said. On the 270-day moratorium for restructuring a company after its case is admitted by the National Company Law Tribunal (NCLT), Kotak said many companies are now close to 270 days in April. “Will the courts allow more than 270 days. In that case is it a valid approach by the courts or will it be challenged in the Supreme Court, that is another big test which will happen by the end of April/early May. This 270 days in the first round is going to be tested for some of the companies,” he added. He said another area is the issue around contingent liabilities which have not become real liabilities. “Is it an obligation for a buyer to pay for those liabilities or not pay the liabilities. Personal guarantees, do they survive in case the loans are assigned to the buyer, the personal guarantees of the individuals,” Kotak said, adding however that the progress on IBC is very good. Against the backdrop of a spate of scams which have come to light recently in the banking sector, Kotak said he is a firm believer that corporate governance is in place across all sectors including the financial sector and is undergoing a process of evolution “We will navigate through this and hopefully down the line we will see significantly improved standards of governance as we go forward. Yes, we are running into challenges currently but I am pretty clear that they will get better,” he said. He said we need to certainly find ways of bringing in more capital into the banking system. On the ICICI Bank controversy involving its CEO, Chanda Kochhar in the over Rs.3,000 crore loan to Videocon NSE -1.81 %, Kotak said the Board, regulator and the shareholders will be in a better position to comment. Asked about the role of RBI, he said: “I think essentially the function of a regulator, is broadly three categories: regulation, supervision and enforcement and as long as the regulator looks at these three both individually and holistically, I think that is how they should be looking at. He said as far as enforcement is concerned the regulator (RBI) has raised issues about the power of the regulator versus the significant shareholder if it happens to be the state (Indian government) terming it a matter of debate. Kotak observed that the MSME sector is one area which has seen the pain of some of the bold reforms, and needs to be hand-held. CII President Rakesh Bharti said arbitration was “very frustrating” and the industry body was engaging with the relevant ministries on this issue. “The fear probably bureaucrats have is that if they don’t appeal, they may be hauled up tomorrow for not having done that… I believe that once arbitration has happened because both parties agreed to, then that award needs to be implemented and this is something where the courts also need to take a very judicious and a positive view. He said it needs to be ensured that the arbitration mechanism becomes more robust, transparent and implemented efficiently and effectively, adding that all foreign companies coming in will have faith in such a fair mechanism. Mittal also stressed that Indian industry needs to ensure that they abide by the law. He also called for broad-basing of GST by bringing alcohol, petroleum, electricity and real estate under its ambit. Besides, he said the corporate tax rate needs to be reduced further to 18 per cent from 25 per cent at present which covers 99 per cent of the companies.